You need to use metrics, not emotion, to decide. I have worked in and around the biotech industry for 18 years. The last 6, I have focused on consulting projects for startups and smaller companies. Given my background on Wall Street and the strategy work that I have done at some of the bigger companies. Almost every startup that hires me asks for the same thing. At least as a piece of the project. Whether they know they are asking for it or not. Help us figure out which of our ideas should be our lead product. Most founders and entrepreneurs start a company with a bunch of ideas. But the founder or founders usually has one pet project. A favorite. An idea that he believes can change the world. But he can’t explain why on paper. Often, it has a personal connection for him. The team disagrees on which product should receive most of the focus. But each one of them is basing the decision on what their “gut” tells them. And that’s where I come in. Products in your industry may vary. But the concepts are the same. 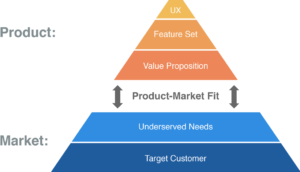 You need to understand the parameters around each product. And the value that each one brings. When you use the same metrics and compare them side-by-side. It allows for a non-emotional way to determine your path forward. Here are some of the calculations that you need to do. You need to come up with a realistic assessment of how many units you will sell. And not just this year. But for the next several years. Sometimes this involves figuring out how big a market could be that doesn’t yet exist. Other times, its about determining what is a realistic piece of an existing pie. In my industry, it all revolves around prescription data. Looking at the prescriptions for all the other products that treat the same thing. Is the market growing? Is it declining? Why? Who else could launch in the same space, and when. Take all the data you have right now. It could be very granular, it could be back-of-the-envelope. And figure out what the market units will be going forward. Not based on what you want the product to do. But what is likely. There might not be anything out there like what you have. Or, you might be building a better mousetrap. Find out what everything costs. How much people are paying for it. And come up with a realistic price for your product. Will that price go up after launch? Will it come down? What typically happens in your market? My industry also has gross-to-net pricing, due to complicated supply chains. But yours may not. But your pricing analysis needs to be layered on top of your cost of goods. How much does it cost to make your product? Will it cost more or less as you scale? Your price should not dip below this — at least not for very long. I have seen so many startup founders underestimate launch timelines. This can have devastating effects on a business. Especially one that is not flush with cash. Take some time with this one. This is a big one in biotech because it can be millions of dollars. So the product needs to cover its own costs after a certain period of time. Make sure you have planned out exactly how much you’ll need for a product to launch. Marketing, sales, research and development. Will you need to hire more people? If your product nets $1M of revenues in the first year but costs $2M to launch, you need to know that in advance and plan for it. I use a Net Present Value (NPV) analysis. It puts all this information together and gives the current “value” of the product. Other people or industries might use an Internal Rate of Return (IRR). I won’t go into detail about NPV, but the Harvard Business Review published a concise summary about it here. There is also an NPV function in Excel. Bottom line, an NPV tells you the value of each product today. How much value each one could bring to the company. So when you compare them side-by-side. You are looking at one number for each product. And it is usually pretty clear which one stands out as the biggest opportunity. It isn’t romantic or exciting to make a decision this way. I have received a lot of pushback about the results from Founders. They want their baby to be the best one on paper. But it isn’t always the case. Sometimes the Founder still picks his favorite as the lead product. But is able to tweak some things in the plan. To make it more workable, more profitable, more valuable. Sometimes, the cold hard facts (plus a push from potential investors) are enough to sway the path. No matter what the outcome. You company will be on a much better path to success with this analysis. Startups and entrepreneurship already come with a fair amount of drama. Emotions run high. There is a lot at stake. Try to take some of the drama out of this big, important decision. Use metrics, not emotion. Your company will be all the better for it.